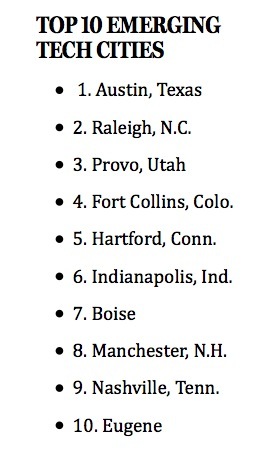 ZipRecuiter placed Eugene in the top ten list of tech job growth cities across the US this week. Joe Maruschak (RAIN – Regional Accelorator & Innovation Network) said, “it reflects that our local efforts to organize the tech community here are being noticed.” ZipRecruiter analyzed the hiring behavior in US cities and watched for the ones that had the highest growing tech jobs. According to the Register Guard, “Eugene-Springfield’s tech community has come a long way in the past few years. Last year the sector employed 4,571 people on average, up 14 percent from 2012, and had a payroll of $296 million, according to figures from the Oregon Employment Department.” Included in the tech industry are video game developers, such as Pipeworks, Mad Otter, Zynga Eugene (formerly Buzz Monkey) amongst others. Read more on this story here.